Vicky Thurlow is the Principle Operator & Lead Technician of Bio-One Western Slope. 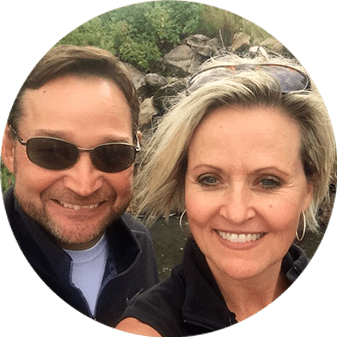 Vicky was born and raised in Moab, Utah, graduated Utah State University and owned and operated a large Athletic Club and Spa in Colorado for decades. After selling her business she became a Certified Hypnotherapist and Energy Psychologist specializing in helping people identify and override beliefs, usually unconscious ones, that create and prolong bad habits, grief and loss, trauma, PTSD, and phobias. Vicky has five grandchildren and is very active in fitness and all outdoor activities. She challenges herself to daily encourage and assist others in raising their awareness and consciousness for healthier living physically, emotionally, and spiritually. Darren Cook is the Lead Technician and Field Supervisor for Bio-One Western Slope and is a lifelong Grand Junction, Colorado native. He is the founder of Mesa County Search & Rescue Dive and has spent 28 years serving to bring closure to families experiencing loss all over the country. Darren owns and operates Trident Steel Structures and has a long history of building, repair, and restoration. He is also a Professor at Colorado Mesa University where he teaches scuba and owns a dive shop. Darren’s son is in the Army and his daughter lives in Las Vegas. Together Darren and Vicky are an incredible team helping individuals and families through tragedy in various ways. When a suicide, homicide, or traumatic death occurs, Bio-One is the best choice for assisting victims and their families. We partner with local authorities, communities, emergency services personnel, victim services groups, hoarding task forces, apartment communities, realtors, insurance companies and others to provide the most efficient and superior service possible. We handle many other difficult situations you may be looking at as well. Every company performing any sort of decontamination or cleanup services in this industry on the Western Slope and in Eastern Utah needs to have the correct training. Bio-One hires and trains highly skilled technicians with all the certifications to get the job done. We also understand that this is about helping you get through a tough situation. Our company motto is "Help First, Business Second." Bio-One continues to be the most compassionate organization in the industry. 1. Make the local call to the owner 24/7 for a QUICK RESPONSE. 2. Vicky, Darren or another Lead Technician will go through in detail the steps that need to be taken. 3. A time is then set for the Bio-One Western Slope team to complete the job. Help First - Business Second. Vicky and her team did an amazing job!! Their help and commitment to get the job done right and as fast as possible is unsurpassed. We had a serious mess on in our hands and the Bio-One proved to be reliable and very effective. Great Job Bio-One!! This company is amazing! I needed them for a tear gas clean up on a clients home and not only did they do a phenomenal job but they worked around the clock so we could still close on time. I highly recommend them for any clean up job. Great service and response time when it is crucial! Bio one is a great company. They came in showed compassion and truly cared about others. Every jo b is a new job new people. It has to be hard dealing with all the stuff most of us can't deal with. When they say don't worry they mean don't worry. Took care of everything very fast. And gave us time to figure out how everything was going to pan out before we even got a bill. Highly recommend from my family. Thanks BIO-ONE. Help first business second is a great slogan but these guys truly stand behind it. Vicky and her team are nice, professional, caring people. I’ve been so impressed ! Keep up the good work. We were left with a pretty terrible mess in our basement when our renters left. The drains had been clogged with potting soil from their plants and water was left standing for who knows how long. I tried to clean it myself, but it was just too much. Luckily this company was referred to me by a family member and they were at my house in less than a week after contacting them. That basement is now spotless! Drains unplugged, walls and floor power washed, and it smells amazing down there. If you need anything cleaned, I would recommend this company every time. Was worth every penny. They also treated the inside of the house to remove the marijuana odor that was still lingering after several bottles of febreeze and diffusing essential oil odor eliminators. Smells like home again! This company is amazing.